Those of you who regularly read my blog posts will know that I have a little quirk about same double-digit numbers, such as 11, 33 and especially 88. This is very much an ‘88 blog post’, as this is in fact my 88th blog post on this WordPress site and the topic is one of my teddy bear illustrations, which happened to be my 88th teddy bear illustration. As if that wasn’t sufficient amount of 88’s, this (for you who are into dates) is the 88th day of the year. So, it’s 88.88.88! This illustration, which is one of my very favourite illustrations that I created, was partly inspired by one of my friends and former work colleague, John W. Hall, who sadly passed away a number of years ago. John was a ‘pigeon man’ and loved his racing pigeons, one of which ‘Jeff’ is proudly displayed in the picture. I always remember he would ask me weeks in advance if the calendars were ready to purchase and he was ALWAYS the first person to buy several when they were available, closely followed by our friend Dawn Logan. John was very proud of my work and I remember that fact with a glowing pride. The very talented South African bear artist, Ingrid Els, kindly allowed me use of one of her furry creations to depict in the picture and he is ideally suited to the theme wearing his cloth cap and dungarees… The backdrop of the illustration was sketched in the gardens of the miners’ cottages at Beamish Museum, which is a living museum, based in Stanley, County Durham. So, as you can see, the young bear in this picture is a local lad to the North East in more ways that one. With his pigeon cree and his flight of pigeons and his copy of The Evening Chronicle this teddy bear is set for a good day… The pigeon clock belonged to John and much to my surprise had been made almost to the day of my birth! That was such a surprising find, when I pondered over it whilst doing the sketches for the illustration. If you look closely you can see that his pigeon has even featured on the front page of the newspaper. And, if you look even more closely (as one of my readers noticed just recently), you can see that the number 88 is featured on the front page too! The number eight, for as long as I can remember, has always been my favourite number. I am not sure why it was, but if I were to think about it…it would probably be to do with the fact that it’s pleasing to the eye. It’s really two circles placed on top of one another. Eight has no hard edges and is a friendly, warm shape. A friend of mine, who was involved in analysing handwriting for large companies and police bureaux, told me that people who favoured the number 8 were generally very kind and approachable people; the kind of people you would want to hug. I have always loved handwriting, but many of my friends have noticed that when I write a number 8, I don’t do it it as one continuous movement. I have always drawn one circle and then the other below (rather like the duckling diagram). 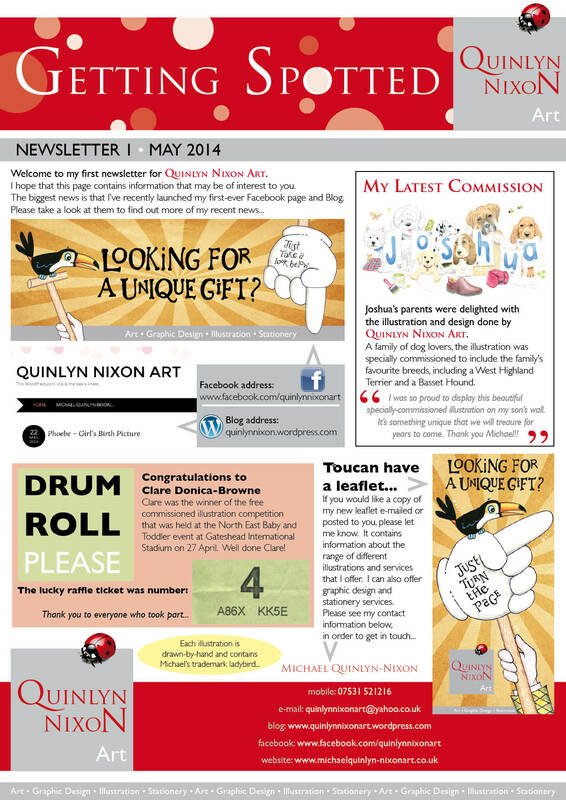 I have only ever met one other person who has done this and she was a graphic designer, called Kylie. Another friend, Jennifer, told me that this form of writing out the number 8 is often used by technicians or draughtsmen, so perhaps I am in the wrong job! Now, if you’ve read my earlier posts, you will know that I also love same-digit double-numbers, so it’s no surprise that the number 88 should find favour with me. You may also be aware that today is the 88th day of the year! So, today I printed out some 88s and had a little play with them, doodling and colouring them. Today my friend, Marie, has just given me some rather nice Easter gifts and this probably led to the fact that two of the doodles are ducklings and rabbits. 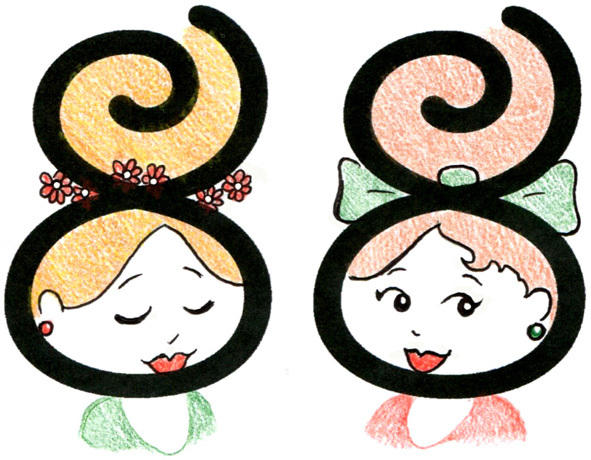 The third doodle is of girls with rather 1950’s looking beehive hairdos and make-up. 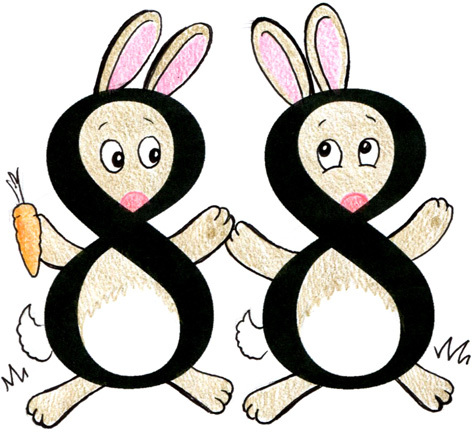 8 is a composite number and it is also the first number which is neither prime or semi-prime. 8 is the base of the octal number system, which is mostly used with computers and digital media. 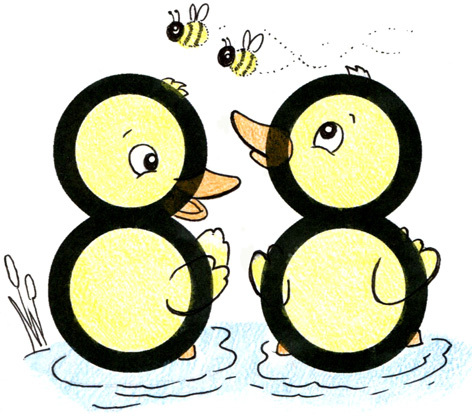 The ‘figure-of-eight’ is often used in sporting terms, such as skating, but can also relate to the way that bees fly and communicate messages. 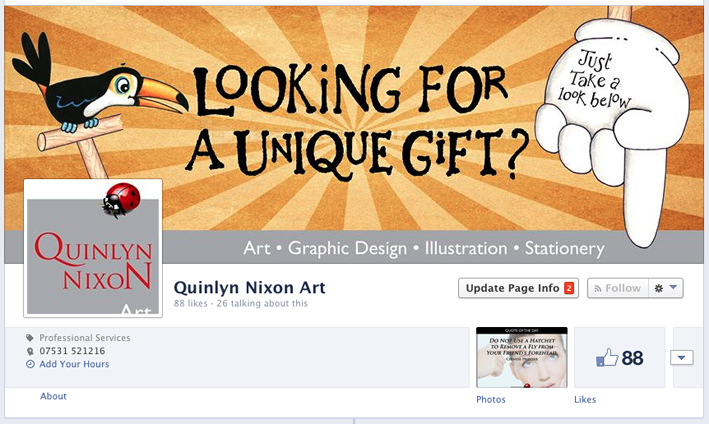 8 is symbolic of new life, the final Resurrection and the anticipated resurrection that comes from baptism. The number 8 in the Bible represents a new beginning, meaning a new order or creation, and man’s true ‘born again’ event when he is resurrected from the dead into eternal life. There is also a visual resemblance between two digits, “88”, and 囍, the “shuang xi” (“double joy”), a popular decorative design composed of two stylized characters 喜 (“xĭ” meaning “joy” or “happiness”). Infinity is shown as a figure 8 on it’s side and symbolises a never ending cycle, as there is no start or end to the shape. 8 is an auspicious number in many Asian and Chinese countries and is the number associated with wealth and abundance. The summer olympics in Bejing commenced at 8-seconds and 8-minutes past 8pm on 8 August 2008 (08.08.08).